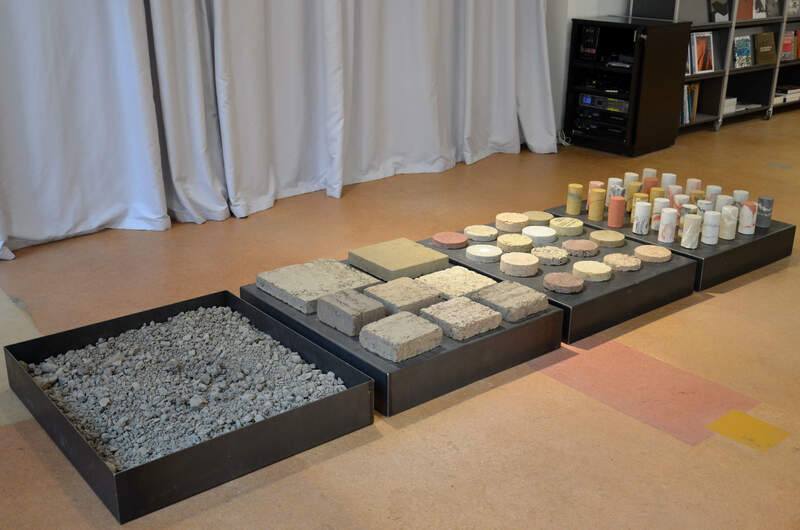 I was lucky enough to visit Switzerland during the time, when the exhibition entitled ‘Rammed earth (Pisé)– Tradition and Potential’ took place in the Swiss Baumuster-Centrale in Zürich. The exhibition showed the photographs of the well-preserved historic rammed earth buildings found in France and Switzerland - particularly in the region Rhone – Alpen, where the earthen buildings stand for almost 40 percent of all agricultural buildings. Another part of the exhibition presented design work of the students at EPFL Lausanne, who had been exploring the rammed earth techniques during two semesters with Roger Boltshauser. The exhibition was running parallel with the magazine ‘werk, bauen+wohnen’, which aims to manifest the potential of earth as the building material more in detail.